Now that the 2012 Summer of ds106, Camp Version is over, I spent some time trying to pull some numbers from the machine, given how crazy folks are about analytics and massive. First of all, I want to thank all 172,000 people who registered for the course (just kidding, we want to make the BIG MOOCS nervous). And I got 435. We have been having some issues with Feedwordpress missing a few blog posts (the developer is working on a fix for us), so in the interest of pure analytics, I went to each students blogs and counted their posts. This os not quite as tedious, if you page through their archives Until you get a not found response and go back one), and find that their last paged url is 5 and there are 3 blog posts on that last page, that means a total of 43 (10 per page plus the last 3). Some consideration should go into that some students did a lot individual posts per daily create where others did weekly summaries, and if I really was going to get into it, I should analyze post lengths and amount fo media embedded. This again is an approximation given some trouble we have had from some blogs not being picked up by Feedwordpress, although the discrepancy fro the UMW student blogs was only 4%. But this would indicate the activity of the non-registered students exceeded that of the registered ones, but likely spread over more individuals. Combined, we had well over 1000 blog posts come into the site over the 10 week course. 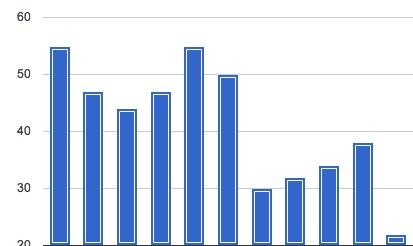 Number of blogs/users syndicate and published to the Magicmacguffin site. This is based on the number of users created on the site, which is done by Feedwordpress as new feeds are added. Our signup form and ds106 registations were the source for us assigning 84 users to our groups (or bunkhouses). So this means that 16 people supplied information but never posted. Does this mean our “dropout” rate (a term I think has no meaning in open courses) was 19% (or 81% of the people who signed up participated by blogging at least once). The use of the term”dropout” in an open course is a signal of a major lack of understanding of open learning. This is the total number of assignment blog posts aggregated to the site (based on the number of occurrences of the post tags, found by searching for the tags in the admin dashboard). I know this is an under estimate because end of the semester we found one student had mistagged all of her posts (she forgot the comma between the general and specific tag). This is six plus hours of the 18 videos created by Martha and I just for the weekly announcements. Tn the first few weeks, we filmed them in DTLT and used the green screen, editing and uploading to YouTube. Because I was traveling for the rest of the course, we went the easy route and did our videos via Google hangouts live, and using the awesome feature that archives them directly to YouTube… This means they may not be edited cleanly but there was no post processing. And we did all of these without any scripts, after discussing what we would do before hand for maybe 10 minutes, they were totally improvised (the last video had some serious editing, but the audio was done improv). Without a doubt, working with Martha on these was one of the highlights of the summer experience. One of my to do lists is to add some capability of the Daily Create site to track the number of submissions each challenge (since these are drawn from third party sources, we would need to poll via their APIs). Also what I’d like to get at are some ways to visualize the activity in this busy network on the front of the site, as the chronological view moves so fast and is not very useful. So there you go, the numbers. Coming up sometime soon, my own reflections on teaching. Colleagues, Alan and Martha, LOST in MINECRAFT !! We are marshalling support for our colleagues at this moment. If you can provide assistance of any kind, please add your information to this form. We are all hoping for the safe and soon return of our beloved friends. 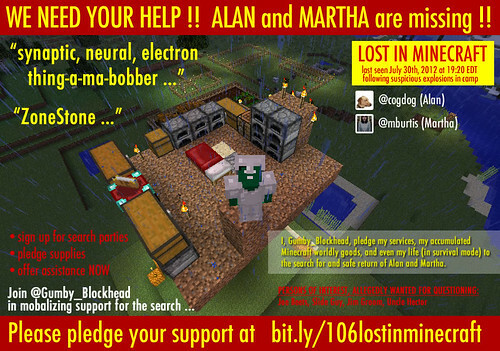 We will be using the tag #106lostinminecraft in aid of the search proceedings. 12:03 PM July 31st Update: Close viewing of this artifact seems to reveal a number of “loops” in the video feed, frequently accompanied by an out-of-sync audio commentary. In the simplest explanation, it may be that our colleagues were somehow spirited away PRIOR to the apparent explosion, and their likenesses remained visible due to the re-played images. In a more chilling, yet possible explanation, Alan and Martha may have been caught within some kind of “Moebius effect,” often implicated within looping or repeating instances of time. Posted in @Gumby_Blockhead, "Cognizant Ventures International", "Mr. E", alan levine, bunk1, Camp Magic MacGuffin, cogdog, cognizantventures.info, CVI, ds106, imaginages, lostinminecraft, magicmacguffin, Martha Burtis, mburtis, mixed-up media, openonline, something made, tantalizing text | Comments Off on Colleagues, Alan and Martha, LOST in MINECRAFT !! As I write my final “letter home” or weekly reflection, I will share advice with future ds106 participants, especially students. Understand that I write this from the perspective of an adult student, in my mid-30′s, in the midst of a successful, demanding career, with a family and home to manage…all while balancing a school agenda, pursing my Bachelor’s of Professional studies degree in Leadership & Management. Obviously, I am an extremely busy woman, whose time is a precious commodity. I will also share that I dropped another class off my summer schedule because the amount of work required was so intimidating and overwhelming that I was afraid that I could not get it all done successfully to maintain my 3.8 GPA. After dropping that class, I quickly looked for something to take it’s place. Seeing as I am short on general electives, I found this class that thought it would be a fun, creative, even easy way to accumulate credits over the summer. I was a few days late enrolling in this course and felt like I was constantly playing “catch up” right out of the gate. But Martha and Alan were welcoming and the other participants and students were great in helping me along the way and encouraging me with accolades and constructive criticism. My think that ds106 would be fun and creative part was accurate, but easy? Well, not exactly easy for ME, but I certainly learned a lot and I’m sure this ds106 experience is one that I will never forget. So my advice and experience comes in the form of a David Letterman-style Top Ten List. Be ready to hit the ground running. Review the list of materials or potential tools you will need to use throughout ds106, including image editors, video editors, audio editors, etc. Familiarize yourself with unfamiliar programs, if necessary. This will save you time later. I started a bit behind the curve and used a lot of time trying to find the right tool to do what I envisioned in my head. Bookmark, and check daily, the activity at ds106. As this is an online environment, use Google Reader, Twitter, the ds106 website and other pertinent tools at your disposal to get announcements and tutorials and follow what’s going on with other ds106ers through blogs, tweets, etc. 8. Get involved and interact. You should make a few minutes each day for ds106, including getting involve and interacting with others. It really is a lot of fun to browse blogs and see what other ds106ers are working on. Leave substantive comments whenever possible to not only let everyone, including the professors, that you are participating, but to enjoy the creativity that takes place here. Don’t forget to tweet your new blog posts and daily creates! Again this shows participation and alerts others to review and comment on your work too. 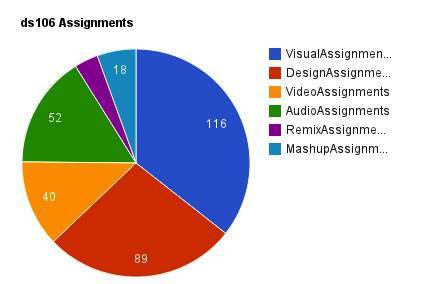 Daily participation in ds106 is critical. Be consistent in your activities…planning, interacting, doing assignments, blogging, tweeting, etc. Some tasks and some days will require more time and investment than others. Just keep making progress and you’ll do fine. This is KEY! One of my strategies to plan my week was to browse through the ds106 Assignment Repository at the beginning of each week or segment and start thinking about which assignments I wanted to create and how I would go about doing them. I took myself on field trips often, both around town and online, looking for ideas and inspiration. Also, I recommend looking at the daily create as soon as it’s published each day, to give yourself time to think and do, depending on your schedule for the day. Putting off until tomorrow what you can or should do today can be a fatal error in ds106. Falling behind will likely create a snowball effect that will leave you overwhelmed. Plan accordingly. If you know you will have schedule conflicts or issues, communicate them to your professor and plan ahead to mitigate these demands. Trust me, I fell behind once or twice and it was so much harder to get back on top of things. There’s a lot of work to do here and you should be ready to commit time every day to ds106. 4. Open your mind…and your eyes. This was one of my favorite things about ds106! If you open your eyes and your mind, you will begin to look at every day things different. As you move through the course, you start to see the concepts all around you. The daily creates really help to stimulate this as well. DS106 is likely to push each participant out of his or her comfort zone at some point. But I challenge you to push yourself. Don’t always pick the easy assignment or use the same tool every time. 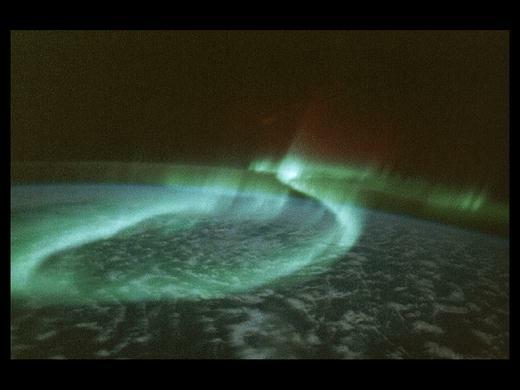 Stretch your imagination and reach for the stars. The support system here is fabulous, if you get stuck or have trouble, say so! Others will jump in to help or offer advice. 2. Tell the your story. The blog write-up are important. Don’t just post the final product. Explain the story behind why and how you did the assignment. Make it personal. This is not an English class, so informal writing is preferred. EMBED your work, not just link to it. A reader should be able to see or view the media directly on your site and not be re-routed elsewhere. The website is yours…make it yours. Personalize it, own it, enjoy it! I think this is pretty self-explanatory. You are assessed on your participation and effort, not the perfection of your product. Have fun and be creative! My personally favorite segment of ds106 was the visual (photography). I bought a new camera at the beginning of the summer, and really enjoyed playing with it and learning to use it in new and exciting ways. This is definitely an area where I didn’t have the time toi do ALL I wanted to in the assignment repository, but watch out…I do plan to keep working ds106 as an open online participant as time allows me. I can’t wait to do some new assignments and maybe even refine some of the ones I already did. I have truly enjoy my ds106 experience and learned so much, it’s hard to recap it all. I will say I plan on using the skills I learned here to help my boyfriend re-design the website for his business and link it up social media using the media I learn to manipulate here – images, video, audio, etc. The tools will be a great help in marketing his business and increasing traffic and exposure to his work. Good luck and enjoy ds106…it’s a great place to be creative and play with others! It was very rewarding to make! Decide what your milestones have been throughout your life. Then find pictures that represent these milestones. Open Power Point and place each image on a slide in chronological order. Go to Insert at the tool bar then click “Text Box” in this box you can write a short phrase or word that explains the milestone and or why it is important to you.